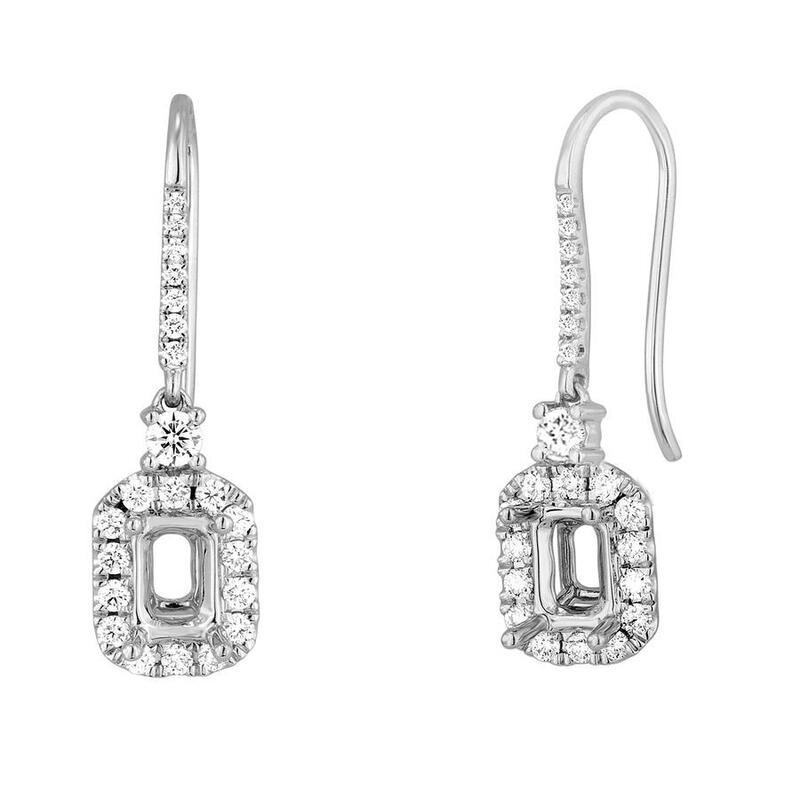 Emerald Cut Diamond Halo Drop Earrings. These earrings have a diamond bail and have a larger diamond connecting the halo and the bail. Earrings accommodate a 6.0x4.0mm emerald cut center stone.